That’s funny in itself, but because I’m not a million years old, I didn’t know it was a reference to a real product. 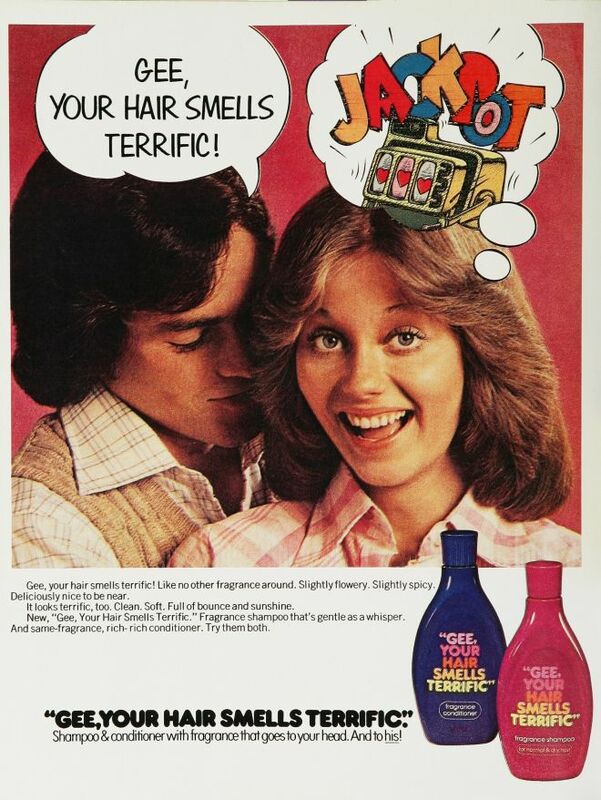 A chance encounter with an image on the internet informed me that there was, in fact, a scented shampoo called “Gee, Your Hair Smells Terrific!” produced in the 1970s and 1980s. Jergens Gee Your Hair Smells Terrific from Robert Burton on Vimeo. It looks like you can still order it online if you want your classmates to creep on you at the library. Jackpot! for her and him. 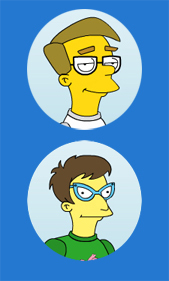 This entry was posted in Classic Simpsons, joke origins, Romance and tagged Classic Simpsons, cosmetics, hair, joke origins, makeup, shampoo, the Simpsons. Bookmark the permalink.